Ride Engineering has announced the details of their Thanksgiving season sale that starts on November 21st and lasts until November 26th. 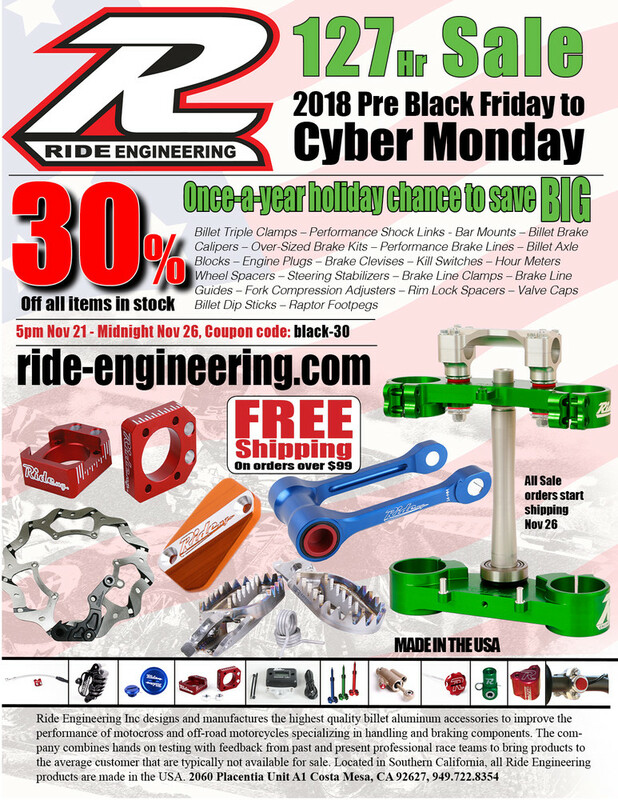 You can check out the sale's details below, and visit ride-engineering.com to pick up some new parts and accessories during the sale. Is your handlebar position working against you?